More choices for Mrs. Claus! This soft, red velour dress is trimmed in white lace and zippers in the back. Dress includes: White cotton apron with pocket and trimmed in lace. UnbeatableSale.com offers the most incredible deals on the latest furniture, electronics, gifts, health, and baby items. 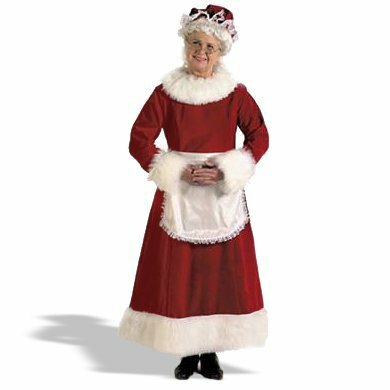 Buying Halco 6992-12 Christmas Charmer Large Dress through an authorized dealer such as UnbeatableSale.com is the only way to ensure its quality and authenticity. Our everyday marked-down price is $67.32, $3.37 less than the retail price you'd pay at most stores. Shipping charges are calculated based on the contents of your order, the delivery option you choose, and the destination. UnbeatableSale.com uses Secure Socket Layer (SSL) technology to encrypt all of your personal information before it travels over the Internet, so your payment information is always 100% protected.